Mommy Blogger"...after 3 years I was ready to give up, but on bottle two, the mira cle finally happened!" Mama Chocolate "...TTC Kit is a great solution to increase your fertility and help you get pregnant faster." A Gnomes Mom "...it is a great deal, especially since I go through pregnancy tests like crazy." Shop With Me Mama"...my friend is certainly happy with the results so far, in taking the ConceiveEasy"
A Mom's Take "...having the TTC Kit will definitely be helpful when we start trying again!" We collect and store information that you enter into this Web site. When you open an account or place an order, we collect and store some or all of the following information that you provide: name, billing address, shipping address, email address, telephone number, credit card number and expiration date. We use your personal information that we collect to conduct our business and to provide you with the best possible products and services. 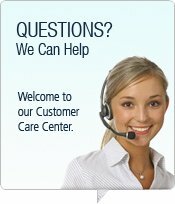 ConceiveEasy.com does not direct any of our content specifically to children. Users of our Site are required to be at least 18 years old, and any user under 18 is not an authorized user. If we learn that a user is under eighteen (18) years of age, we will promptly delete any Personal Information we have collected about that user. Whom Do We Share Information? ConceiveEasy.com may share information with carefully to selected vendors and business partners with whom we work. This includes companies that offer affinity, frequent-user, and reward programs; and, companies that perform marketing services and other business operations for us (including providing goods and services to our users, as necessary to complete transactions of your request). All companies that act on our behalf are contractually obligated to keep all information confidential and to use the customer information only to provide the services we ask them to perform for you and us. We may share non-personal information with our marketing partners, advertisers and others from time to time. Examples of such non-personal information include the number of users who visited this Web site during a specific time period or purchased a specific product through this Web site. This information generally is shared in an aggregated form. We may release personal information if we believe in good faith that: the law or legal process requires it; we have received a valid administrative request from a law enforcement agency; or such release is necessary to protect the rights, property or safety of ConceiveEasy.com, or any of our respective affiliates, business partners, customers or others. We use various security measures, including Secure Socket Layer (SSL) encryption technology, to protect personal information that we collect. If you place an order through this Web site, you will be asked to provide an email address. You must provide an appropriate email address in order to access account information. These statements have not been evaluated by the FDA. This product is not intended to diagnose, treat, cure, or prevent disease. ConceiveEasyÂ® TTC KitÂ™ System is a registered trademark of The LBC Health Group. *Product is free to try for 30 days. Pay only a small s&h fee. WHILE SUPPLIES LAST. View Offers for full details.